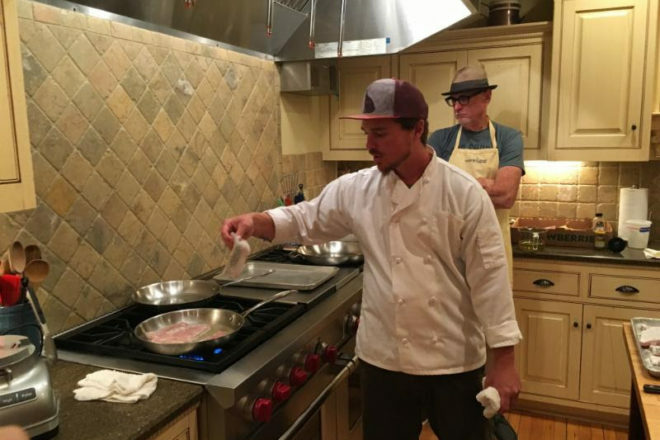 Join Matt Chambas, chef of Door County Underground, at the Savory Spoon Cooking School on Sept. 20 as guest chef. One of the distinct features of Chambas’s creativity is the use of a vast amount of locally grown foods. Experience the flavors of our community in this Fresh and Healthy class. Chambas will include a few seasonal improv menu items in this class for your cooking enjoyment. Menu items include: Wild Mushroom Crosone, Traditional Roman Cabonar and Whitefish with Puttanesca. The class starts at 6 pm and is $75. To register and for more information visit savoryspoon.com.